LandWear the Nomads depicts three nomads landing on shore as if they were visiting a known site. These structures were 12ft tall and made entirely of materials found landfills. 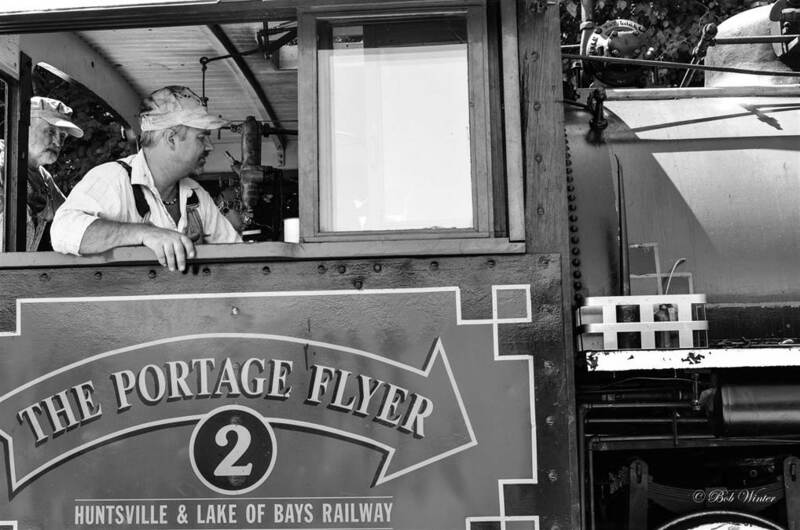 Muskoka has been a region visited by many many tribes and woodsmen over the years, as well as by artists, businessmen and now tourists. The three beings were found in a triangular formation, evoking a gathering of some kind, with their opening facing the centre of the triangle. During the night, people were invited to penetrate them, “wear” them like huge coats, and will in a sense become nomads themselves. Three visual artists with a love of stories and wildlife have joined together to create “The Roots and Wings of Our Imagination”. Explore an enchanted forest where the creatures of the land live amongst the roots and winged creatures as they come “in for a landing”. Created almost entirely from recycled newspaper this sculpture process takes papier mache to a new level. What are We Leaving Behind? We are Carrying forward? 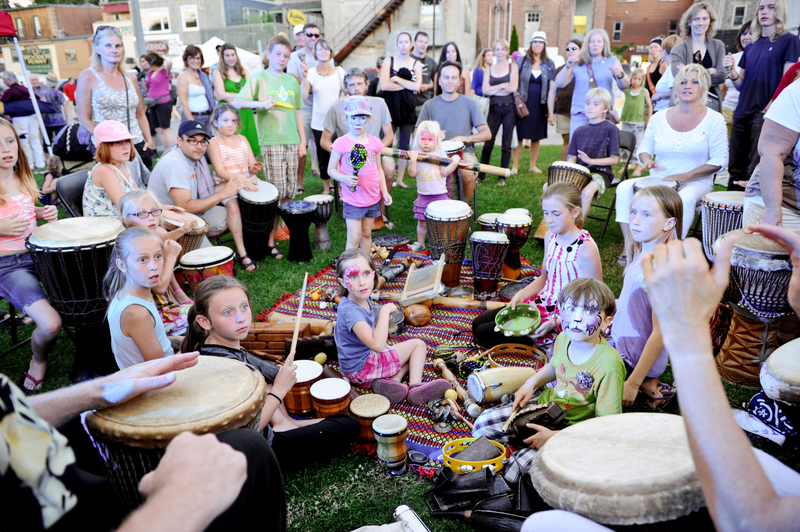 Join Aanmitaagzi in an outdoor interactive performance. 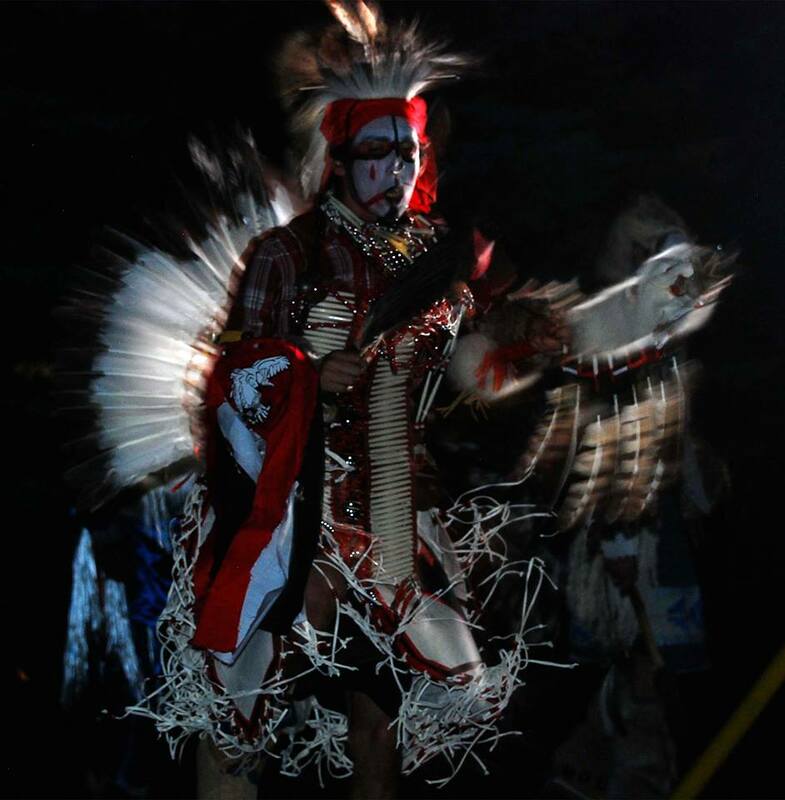 It will be a multidisciplinary performance, exploring the relationships between self, land, and ancestors. There will be song, dance and story telling. Come share and celebrate with the Aboriginal arts company from Nipissing First Nation and North Bay. This static installation depicts a model of a girl (fille) on a bicycle, rising phoenix-like out of a Muskoka land fill. 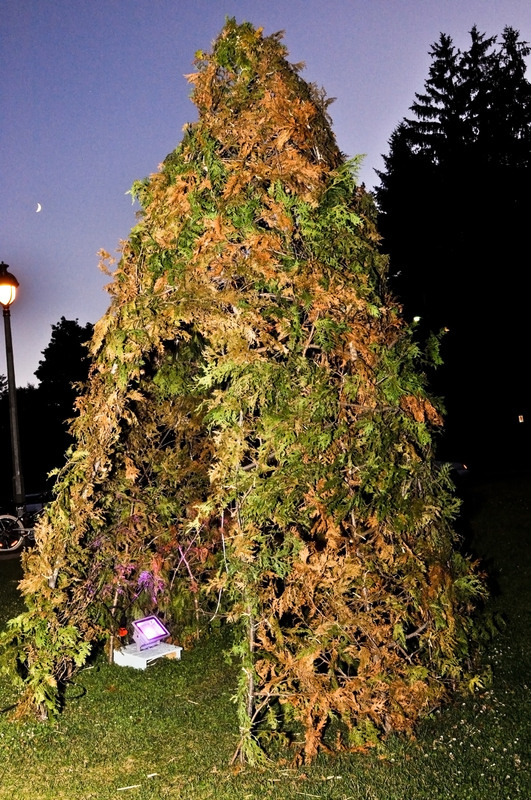 This piece attempts to draw attention to the amount of unnecessary garbage, discarded by a thoughtless public, which finds its way into our local landfill sites. The focus is primarily, though not exclusively, on plastic, single-use water bottles. 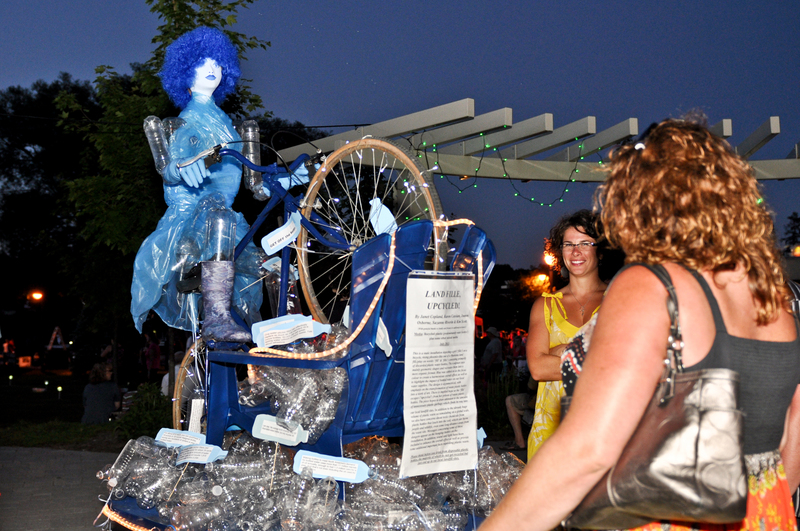 The installation is mainly constructed from recycled plastic water bottles, but also includes an old bicycle diverted from a Muskoka landfill site, as well as other recycled items. Off the Grid Living in a Skid is an art installation displaying living off the grid in a tiny makeshift house made of wooden skids…A primitive survival home in the spirit of a post apocalyptic disaster “what if”? An example of how adaptable humanity truly can be, how little we can live with, an art performance of a simpler way of life closer to the earth. We have a number of interactive activities in River Mill Park. Come join us, get your hands dirty and get creative! A 3ft high papier mache boot. Inside of the boot, a tree is growing. A visual representation of the “footprint” that humans have made on this planet. 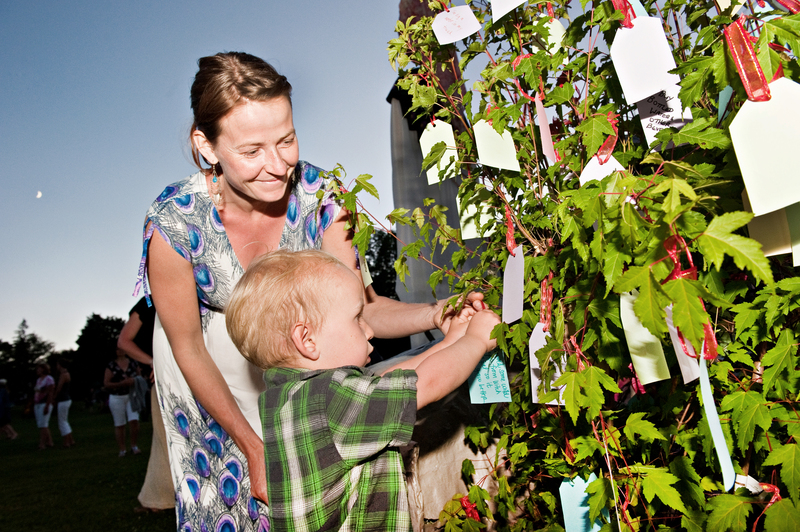 Visitors will be invited to document their own contributions to global warming on small tags that will be hung on the tree. Leave your mark by creating a vibrant, colourful and connected Nuit Blanche ‘Home(land)’ rock circle! 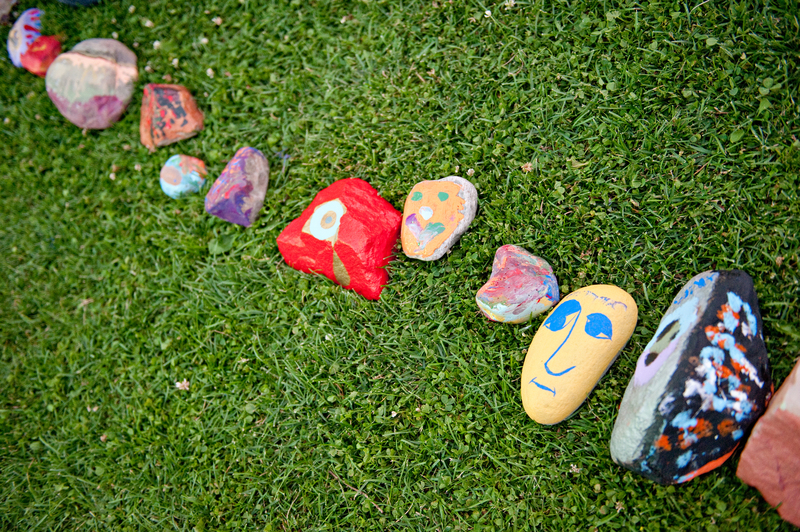 Select a rock, splash some paint on and add your creation to our sculpture garden. The project will involve photographers who will submit 6 pictures after 6 hours of shooting on the day of Nuit Blanche North. 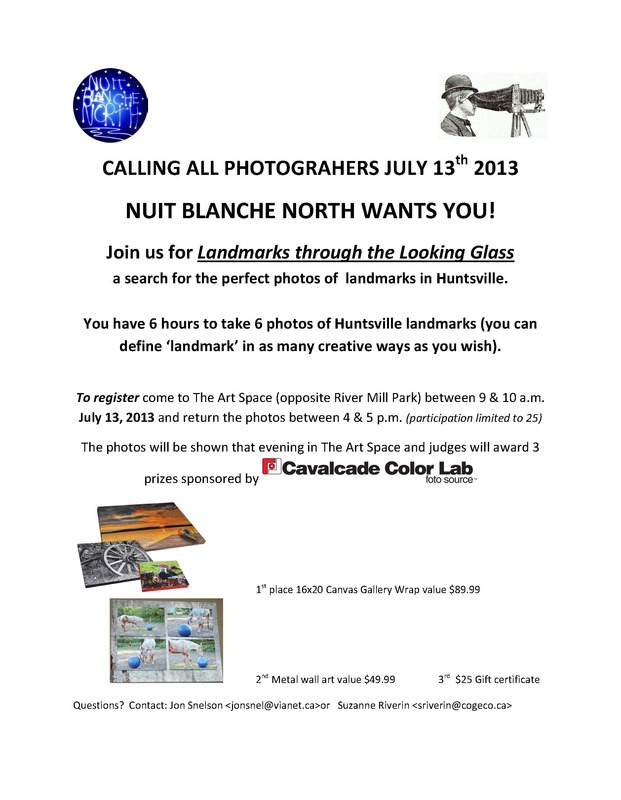 The participants will be shooting Huntsville landmarks in keeping with the theme of land. 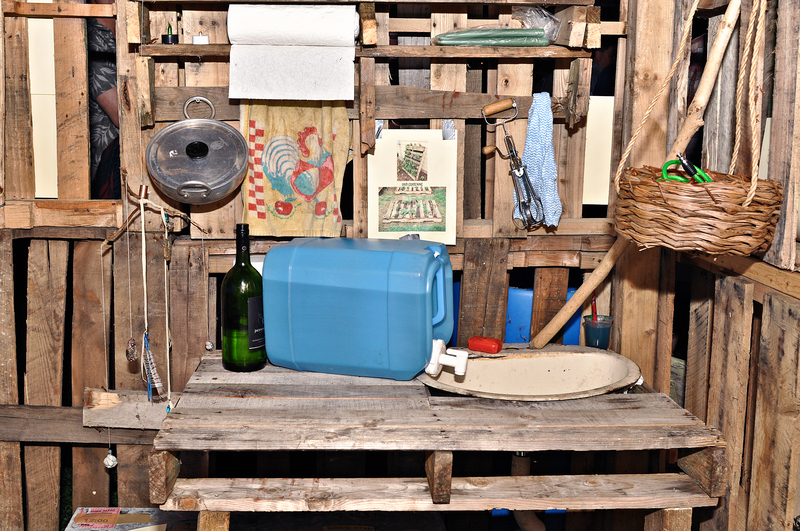 The determination of what constitutes a landmark will be lefet up to the creativity of the participant. They will start shooting at 9:00 a.m. on the morning of Nuit Blanche NOrth and end shooting at 3:00p.m. when they will digitally submit their pictures. 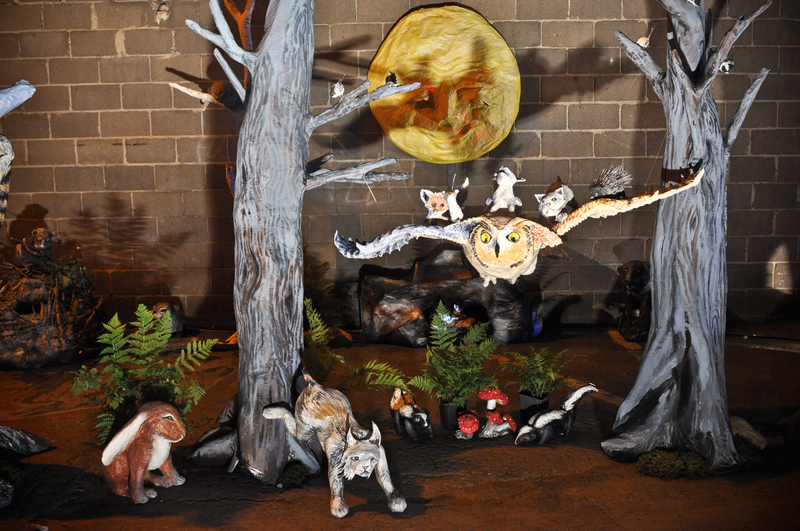 The photos will be projected the evening of Nuit Blanche North in the Art Space. Prizes donated by local businesses will be given for ‘best’ photos. 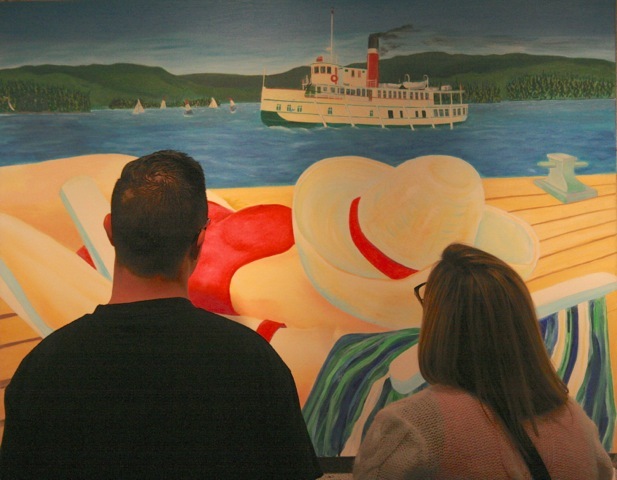 Exhibit opens Thursday July 11 and runs through until July 28 at the Art Space Gallery.